So your new condo unit has been turned over to you finally after about 4 years of payments of your hard-earned money. It is time to decorate your new haven with those fancy furniture and decor, flooring, wall treatments, and of course your window treatment or curtains that you’ve been eyeing for the past years when you pass by in the furniture shops and similar stores. Everything is of course should be based on your preferences and desires and nobody can dictate and has the right to say what and what not to do to your very own place. However, sorry to disappoint but this is not the case for curtains or window treatment of your unit. 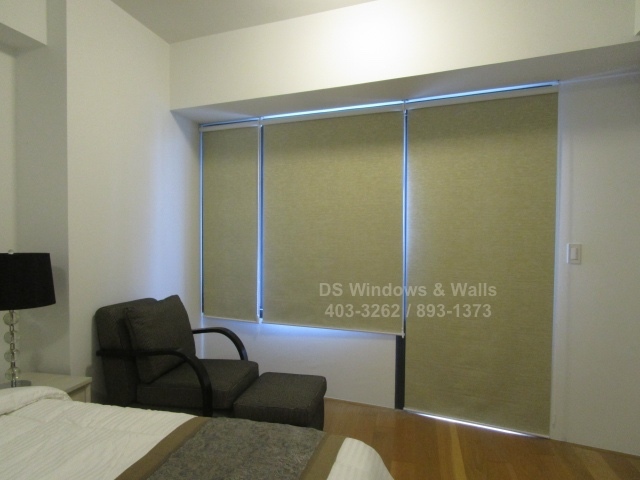 Most condo admin (if not all), restricts the color of your window cover to light colors only. The reason for this must have something to do to the impression or impact that white vs. dark colored window treatment does to the viewers outside the building. It could be that it is unpleasant to see dark colors such as red or black or even violet curtains outside the building. Let’s just say that if everybody abides to this restrictions, the overall beauty and prestige of your condo building will be preserved and that is for everybody’s benefit. However this will limit your options to mostly white and beige colors. 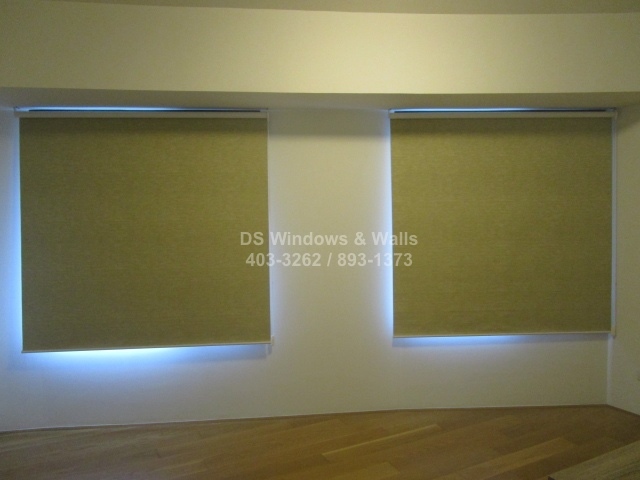 To circumvent this problem, we offer roller shades fabric that is white at the back and darker color in the inside. 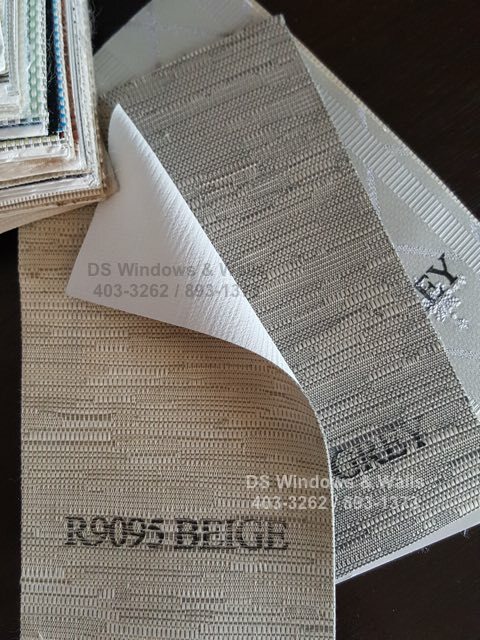 In this setup, you could choose your preferred color and even fabrics with patterns without worrying that your building admin won’t allow it during approval of work permits since the fabric is pure white in the side facing outside. 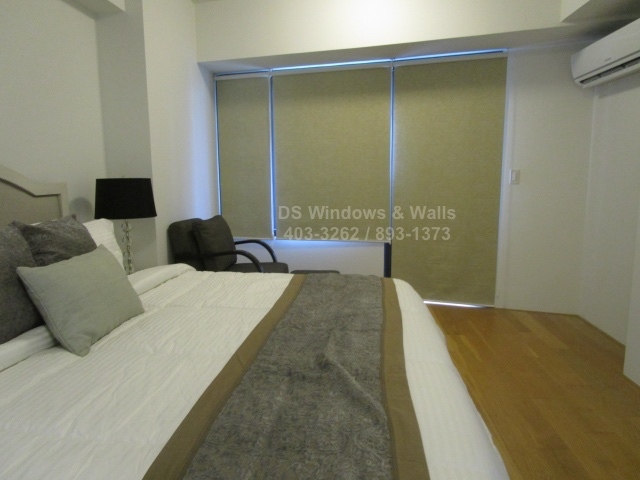 As you can see on the photos, this client of ours in one of the BGC Taguig popular residential condominium enjoys a dark khaki colored roller blinds fabric. 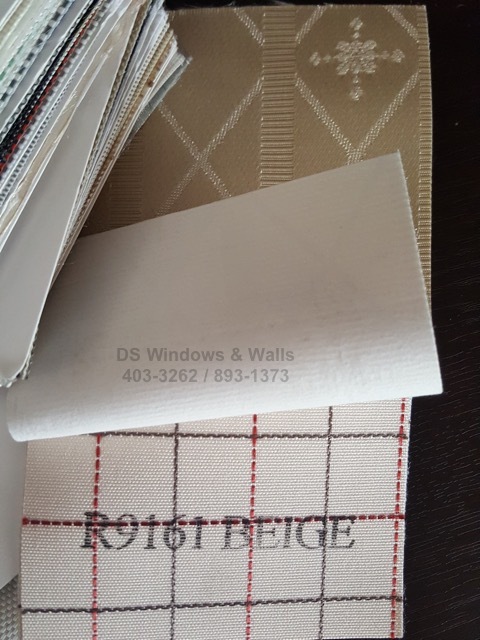 Also, in the roller blinds swatches shown below, you can see better that the inside fabric is darker color while the outside fabric is pure white. In the next photo of the roller fabric swatches, you can also see that you can select fabrics with design and patterns. Roller fabrics with design patterns sometimes creates uniqueness and character to the room especially if you are already used to seeing plain colored fabrics in other places. For more information and free consultation, please do not hesitate to call us at 403-3262 or 893-1373. You may also email us at inquiry@dswindows.com or visit one of our mall branches.